We were a weird bunch; a Hispanic couple from the US, a hiking enthusiast with her towering Australian beau, a happy-go-lucky guy, a girl who loves going on weekend trips, a blonde entrepreneur who shares a striking resemblance with Beyonce, a couple in their mid 20s, a girl who went on the trip thinking that we were just going to the beach, and I who came with a tent heavier than me. We were not the next Survivors castaways (although I’m pretty sure we are capable of creating enough drama to last a full season), we were just a silly group of travelers who wanted to go camping at Mt. Gulugud’s Baboy. But the experience could have passed off as a Survivor challenge because it was tough. You think I’m referring to the climbing part? Nope, I mean the camping part. You know those plans that started small and ended up in a completely different way? That’s how this trip came about. It was a late Christmas party celebration turned into a weekend trip. I took it upon myself to arrange it all because I’m a control freak like that (Nah, I just like organizing things in general, parties, get-togethers, travels, etc.). I successfully talked some of my friends into it including newfound friends, Gloria and Diego of Cafe con Leche Abroad. No seriously, I won these gears from looloo, except the Gobi Gear roll, which I won from another giveaway. You read it right, I won all these. You see, I was on a winning streak last year. Would you believe I won 7 raffles/contests? Hell yeah I did! 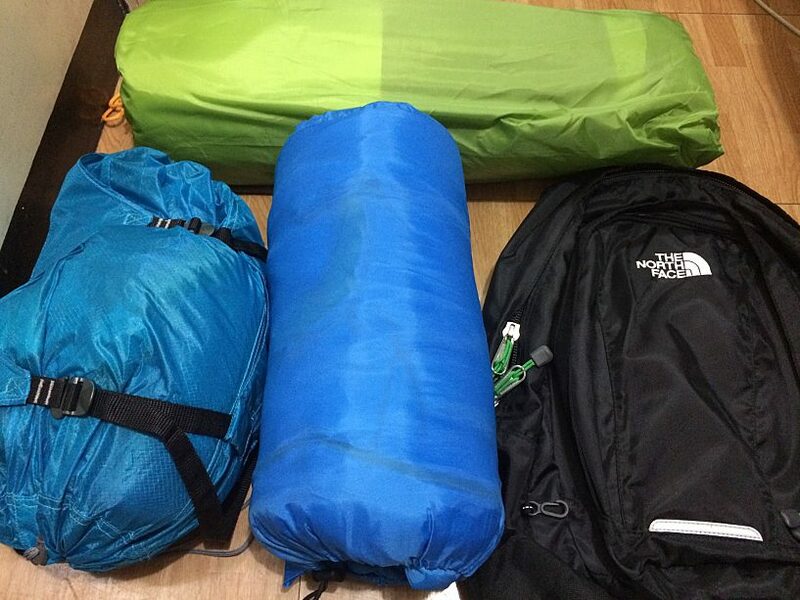 So the Coleman 4-person tent, the Northface backpack, and that sleeping bag are part of my winnings from looloo because my review of Kalayaan Twin Falls was picked for the Travel Review category. Anyway, back to regular programming, January 15, at around 10AM, the crew assembled at McDonalds, Taft-Buendia, a.k.a. that McDonalds branch beside the bus stations. Of course, to wish that everyone would be on time is like wishing the unicorns were true, so we weren’t able to start the trip until around 12:00 noon. We took a bus going to Bauan diversion, bus fare goes for PHP 125. If you are a big group like us, I suggest you take option number 2. The jeep drivers themselves would offer their service to you, so don’t hesitate to negotiate a fair deal. In our case, we didn’t get the jeep all to ourselves, meaning there were other passengers on board. But there were so many of us, we practically occupied the entire jeep. 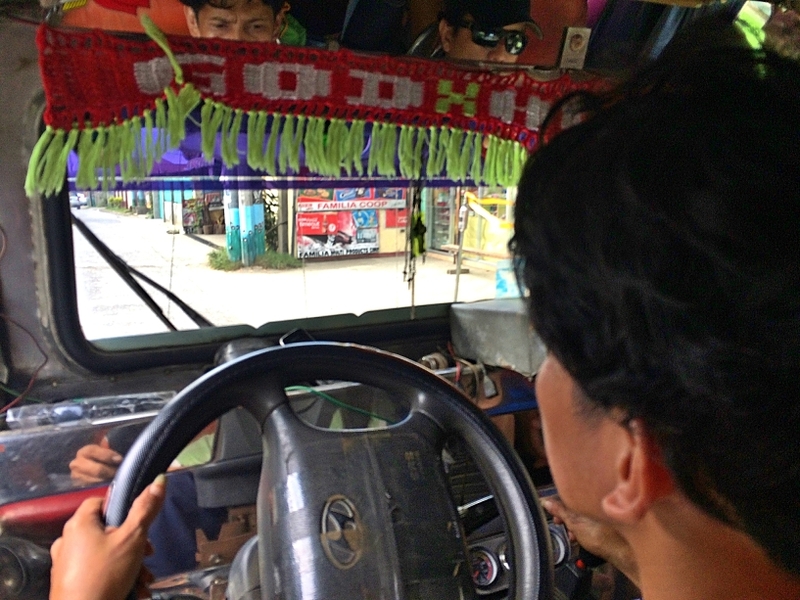 The driver drove us all the way to Philpan and we only paid PHP 100 (USD 2.01) per person; I say that’s not a bad deal at all. It took us an hour and a half to get to Philpan because of the heavy traffic. Somewhere along the road, the jeep stopped and I realized we reached our destination. One side of the road is lined with houses. We spotted a table where the mountaineer’s registration is; a log book lay opened on top of it. We wrote our names and paid PHP 35 (USD 0.70) each for the registration/eco fee. The fun part of traveling with a group is that you’re not alone with the hustle, you get to joke with someone, you have other people to take your picture, there’s someone to help you carry your things, you also get free food because your companions tend to share theirs. The not-so-fun part is the delay, there is always someone you have to wait for, someone who is missing, someone who is late. As I mentioned earlier, our assembly time was 10 a.m. but we didn’t leave until 12:00 p.m. Even before we begin the trek, there’s been some cause of delay. We reached the jump-off point at 3:35 p.m. but we didn’t start climbing until 4:17 p.m. The climb began on a 10 to 15 minute walk on a paved road. 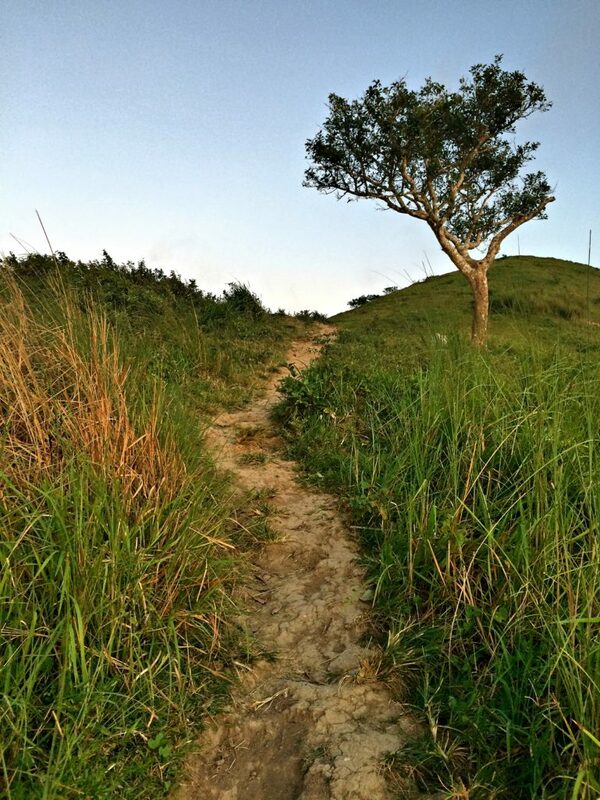 We no longer asked for a guide because the trail is fairly easy and the path is established. 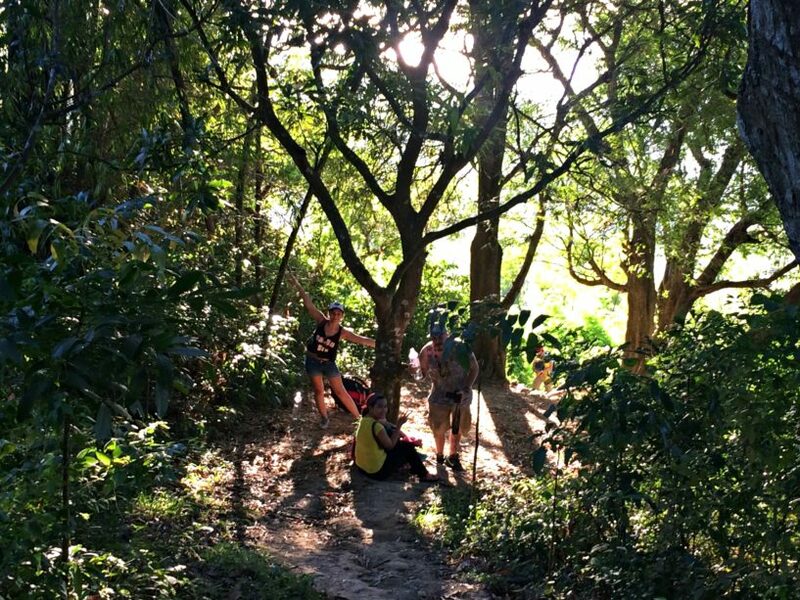 When I said easy I meant the trail is not too steep, but it doesn’t mean that you wouldn’t feel the strain on your legs, or it wouldn’t get your heart racing. We weren’t even on it for more than 10 minutes but we were already gasping for breath. I figured it was either we were physically out-of-shape or we just had an extra hard time due to our camping gears. Soon we reached the point where the dirt trail begins. The sun was already getting ready to call it a day so we tried our best to climb fast. Since we loved stopping for breaths, I had the time to truly appreciate the view. Finally, we reached the Mt. Gulugud peak, but the hustle was far from over. From there we had to continue our way to the Pinagbanderahan peak where we were going to set camp. 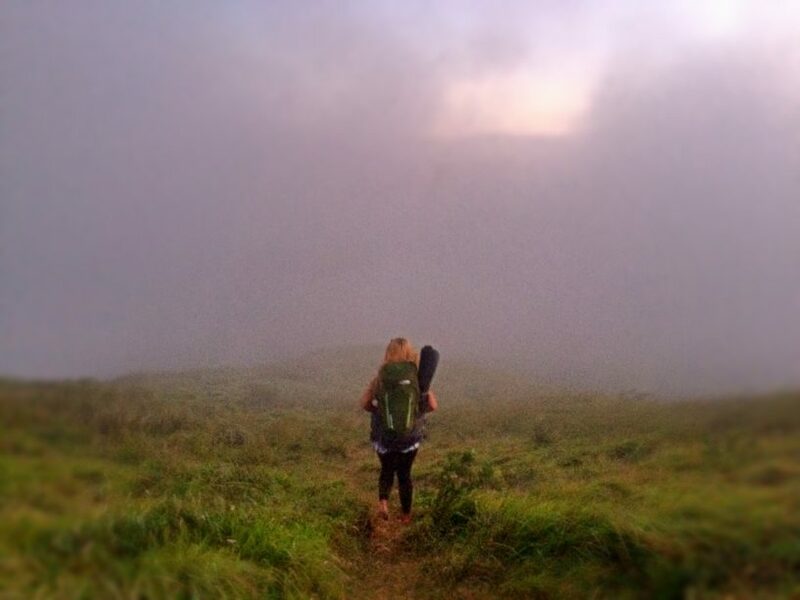 Up on Pinagbanderan, we were enveloped by a thick fog and greeted by a strong wind. 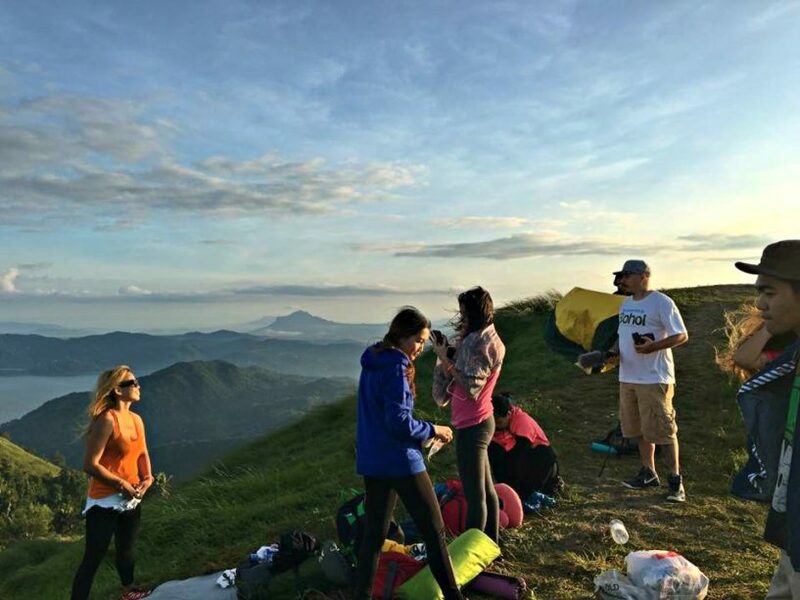 As soon as everyone reached the peak, I encouraged them to set up the tents while there’s still light. It was my first time to use my tent and I had no idea how to pitch it. As the others were busy pitching their own, I stood there shaking from the biting cold. The wind was too strong, everyone struggled to get the task done. Eventually, Jerny, JB, and Michael came over to give me a hand. Pretty soon, my tent is up and ready. Despite the coldness, it was warm inside my tent. I silently thanked the heavens and looloo for blessing me with this shelter. I shared my tent with Caresse. Now for the fun part, dinner! Jerny brought a stove so we were able to cook some noodles. We didn’t have a cooking set, we just borrowed the pot from Ate Lisa, the woman who takes care of the registration down the mountain. We didn’t bring a spatula, so we used some twigs that we found in the area to stir the noodles with. We huddled together, sat in a circle to cover the stove so the wind wouldn’t kill the fire. We lived in instant noodles, crackers, canned tuna, and mallows. Yes, mallows! 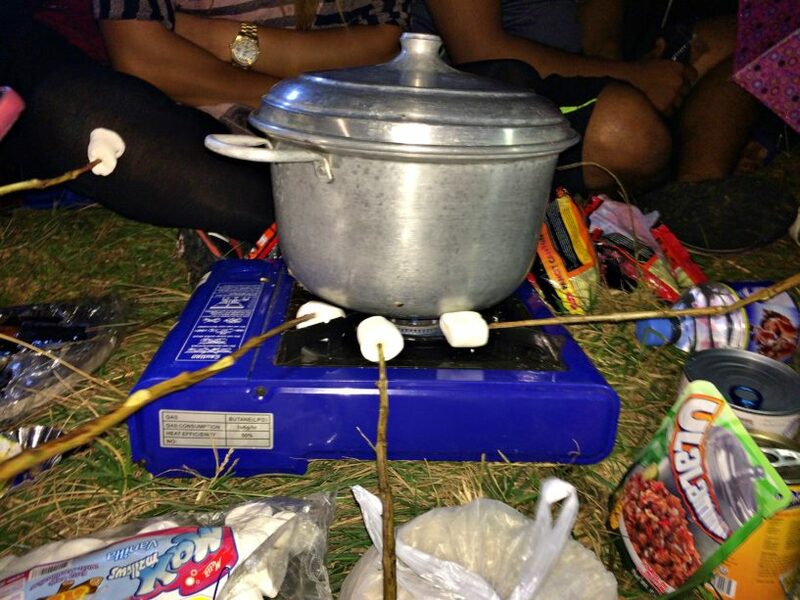 This ain’t no camping without mallows. And where did we burn them mallows? In the fire of the stove! It was rather uncomfortable because the wind was blowing so hard, I was freezing the entire time. But it is without the question, one of the most fun things I’ve ever done in my life. And I had those fragments of dreams I couldn’t control. In between dreams and reality, I almost believed there a was storm. I kept telling myself that the view in the morning would be worth it. Then I woke up to a chilly morning to the sound of Silver’s wake-up call. I forced myself up, unzipped the tent, and went outside. I was right, the view was worth it. Even in the morning, the wind was blowing hard. We found some of our food, even our garbage, scattered about. My first thought is that the wind might have blown them off, but I heard some of my friends saying that the dogs might have gotten to them. I’m not so sure if the dogs could go all the way up there though when the wind is too intense, but yeah, who knows? We were no longer alone at the peak; I spotted some early hikers busy taking pictures. 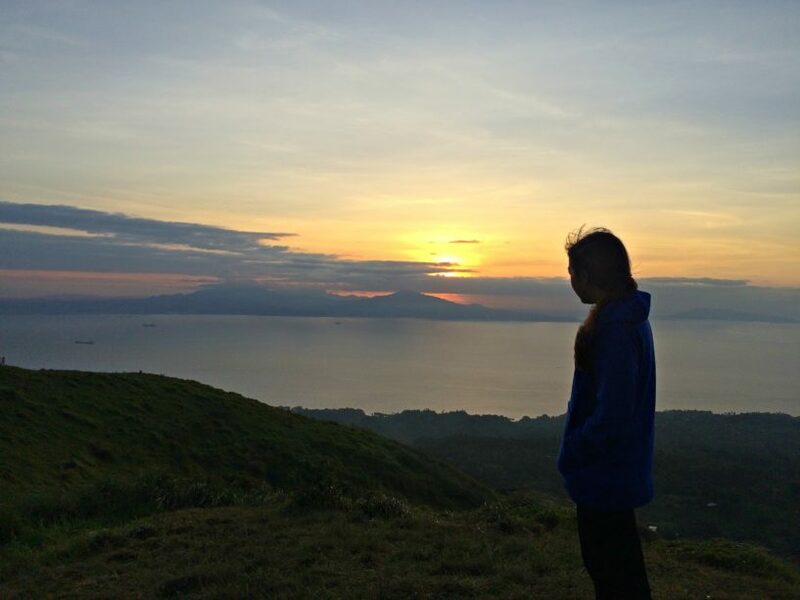 I busied myself doing the same thing because the view is just amazing. At 7:30, we started our way down. The time we spent for descent was of course, shorter than the time we spent for the climb. Nevertheless, I found it more challenging because during the ascent, JB carried my tent for me. When we climbed down I had to carry it all by myself. My tent was so heavy and the downward slope was so slippery it slowed my pace. I even scraped my knee when I lost my footing and skidded down the path. Kidding aside, this trip involved camping and some of the most wonderful people I know, two factors that made a whole load of difference in my attitude toward the climb. I can go as far as saying that this is my most enjoyable mountain-climbing experience. Still, as the title of this post says, it’s quite challenging to camp at Mt. Gulugud Baboy because of the wind. 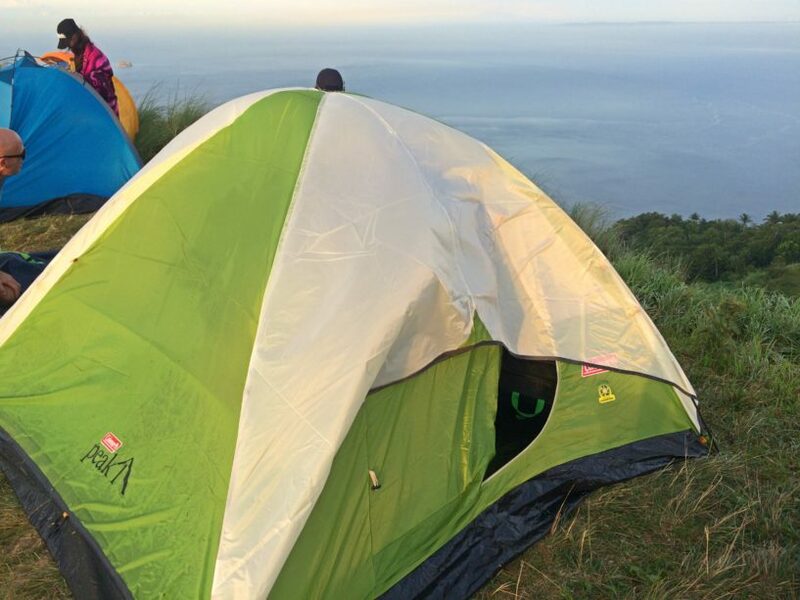 Still, if you bring a sturdy tent and a group of fun and reliable people, camping there is very possible. My first camping experience was crazy fun and I can’t wait to use my tent again on another camping trip. What about you, have you ever tried camping? You may view or download my itinerary for Mt. 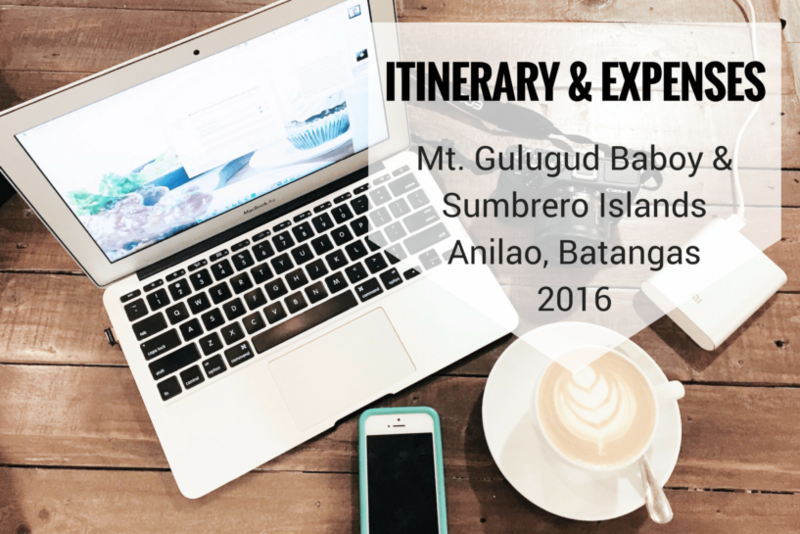 Gulugud Baboy and Sumbrero Islands trip by clicking the image below ↓ . Yes you can bring your children. In fact, we saw some kids climbing with their parents in the morning. Even students who were even in their uniforms were climbing there. Oh I’ve wanted to camp here because it’s just a stone throw away from certain islands. However, I somehow ended up camping at the nearby Masasa Island instead, which is also a great experience. I’ve yet to try camping in an actual mountain though. It sounds so intimidating but I need to make it happen while I’m young and able! Beautiful! I will sure take note of this place if I ever want to go hiking! It really takes some guts to go there but it is worth it! Love your writing. I felt like I was right there waiting for the group to assemble! So glad you enjoyed your first camping trip, can’t wait to see what is next. 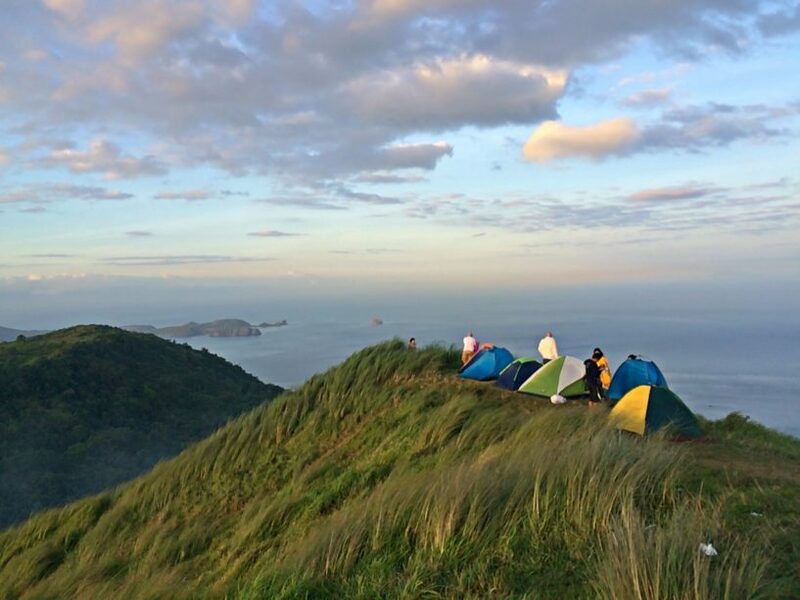 I have never thought about camping in the Philippines, but now I have to do it. That shot of your tents at sunrise is epic! That view is amazing! 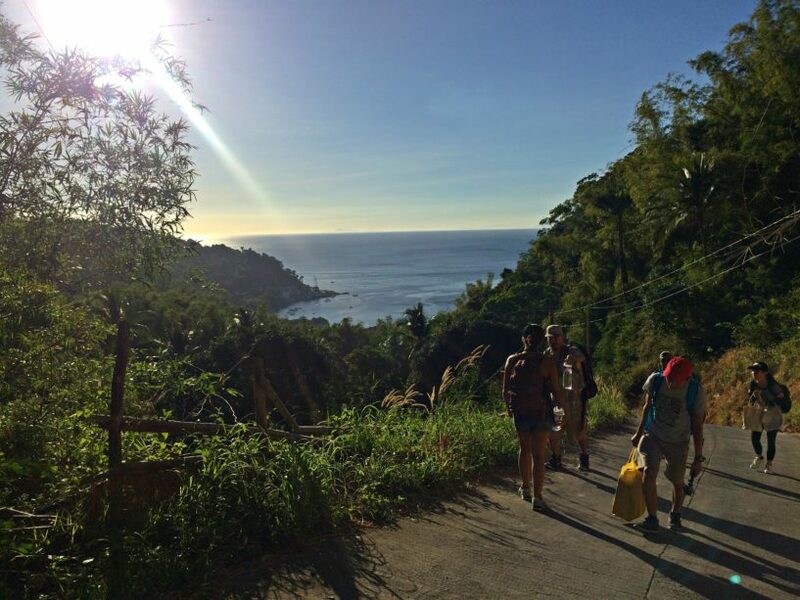 I would love to go back to the Philippines to explore the mountains! Ok I have some things to say. First of all, wow, camping is for girls that are pretty cool. Well done. I don’t know if I could do this. Second, that girl Silver looks like a model on every picture, how does she do that? 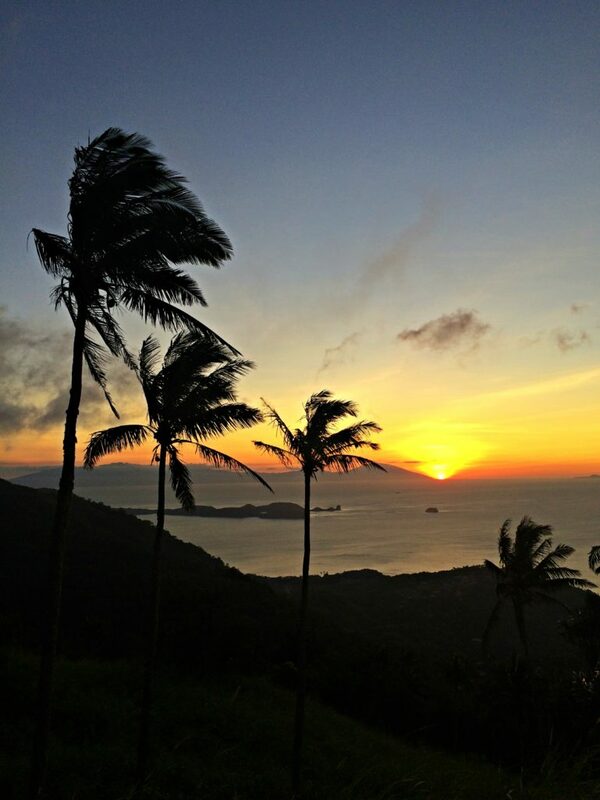 And third, I love the views, amazing pictures!! Despite all the trouble of camping and the freezing cold and the wind, I find myself repeatedly still doing it. It becomes a story to tell afterwards. We had our most difficult camp in Kanlaon but nonetheless, we want to go back. 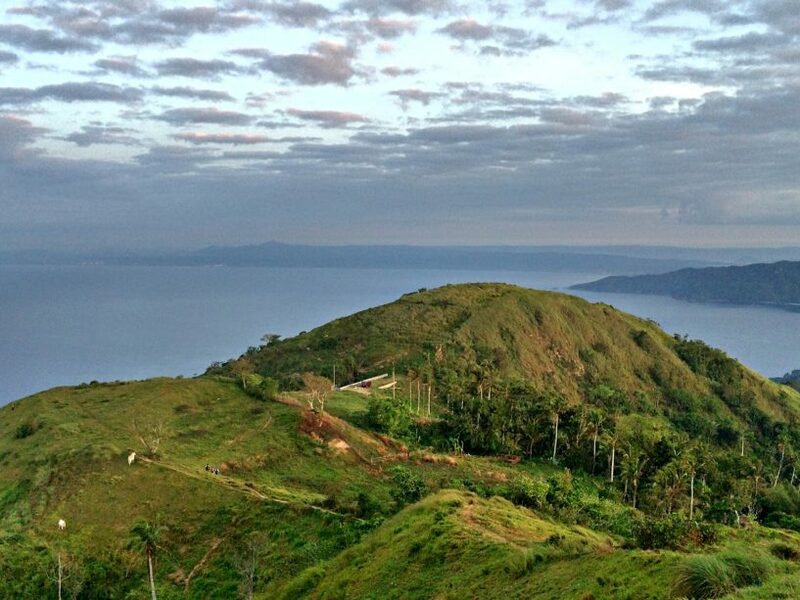 I haven’t been to Kanlaon, I’d love to check it out. And I agree with everything that you said Karla. Despite the challenges that we met for this camping trip, I still want to do it. Wonderful photos! It looks like you had a great time! What a beautiful way to commune with nature. BEAUTIFUL! I hope I get an opportunity to hike with you guys! I had done this only once, Mt. Manabu and hopefully, could get back to doing it more often! It’s really hard to set-up the tent when the wind is so strong. Space at the summit of Mt. Gulugud Baboy for campsite looks so limited. However challenging the climb was, the view was still stunning at the top. that view is gorgeous! i’ve been camping once in the gobi dessert in china and it was a brutal time once the sun went down. maybe i’ll be back up for another camping trip someday! Hi Sher! Camping on a desert? Oh wow, that must have been real hard because of the heat! Not an easy climb with all that gear, but what a view to wake up to! Oh yes Kevin, tell me about it! My tent slowed me down. So windy and cold, but I’m sure it is indeed worth the experience! Just look at that view! Wow, I’d be speechless to see that! Setting up the tent while the wind was blowing strong is hard!! I tried that in, I believe Arizona (very close to Utah/Arizona border) and wow, we have to use a lot of rocks inside in the corners to hold it all down! I love camping 🙂 I really enjoy it but haven’t find a favorite spot yet, I’m sure I”ll have more camping opportunities to find a place where I’d fall in love with! Sounds like a great experience, and challenge! I can’t believe you won so many raffles!lucky! I can still remember the cold breeze on that place! Our tent is nearly not enough to withstand the strong winds because that was very made up more for a beach. LOL! But thanks to that, awesome article it is! Marjorie, I just want to say that your idea to add and itinerary and expenses at the end is fantastic. What a great way to wrap up a post. One idea, you could add a USD value at the end to make it a bit more accessible for international readers. Sure Carlo, you may join our travel group on Facebook called, Day Dreamers. 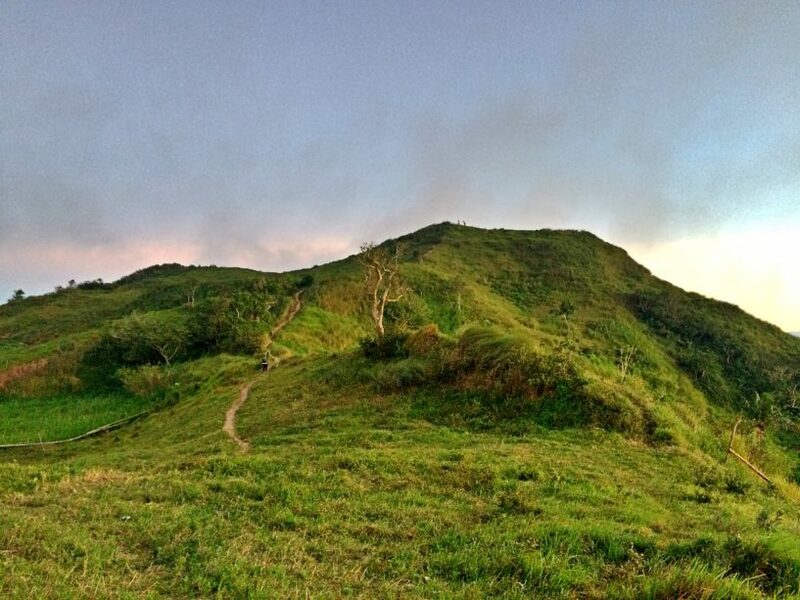 I heard Gulugud Baboy as a good hiking destination from a mountaineer friend too. I’m now even more curious. It looks so much fun especially with great company. Well done for conquering this one despite your aversion in scaling mountains. Looks like fun and very much affordable ha? The best thing I like about camping/hiking is when you are with good friends. OMYYYYYYY! What a breathe-taking view! I hope that one day I’ll be able to go camping on a mountain. The summer holidays are coming up and I’m so excited to start planning a trip! Do you think this is okay for a first time hiker or would you recommend an easier hike? Love to know what you think! Wow. nainggit naman ako at di ako nakasama dyan. What a very informative post about Gulugud Baboy. and the photos are beautiful! galing! Thanks Jon, may Pico pa tayo, wag kang mawawala! Thanks Ann! I am already planning to scale more mountains actually. Hope you can climb Mt. Gulugud too. Camping is best done with great people. You look like a really fun bunch. And that view looks amazing. I won’t mind waking up to that even after a cold windy night. I remembered the last time i went on this kid of adventure.. 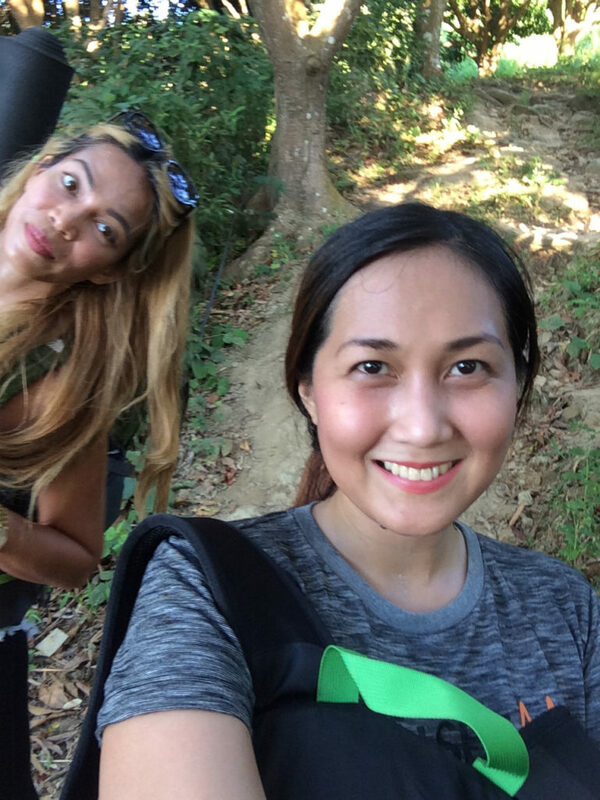 It was an impromptu kind of thing and we were totally unprepared particularly not geared for the climb…. But we ended up enjoying it as well! In the beginning of the post, I thought it might not be worth all the trouble. Then I got to the pictures in the middle and the next morning and I knew it had to be a great experience! It’s so nice when a rugged, tough hike ends with amazing sights. Nothing more rewarding than witnessing natural beauty at its best!! I never really got interested to climbing mountains despite the continuous trend of hiking. But honestly, this post just captured my interest probably because of the kind of company you had here. Having a fun company on this kind of adventure sets a difference with regards to experience. A friend of mine suggested this place to me as this is an ideal mountain to climb for first time hikers! 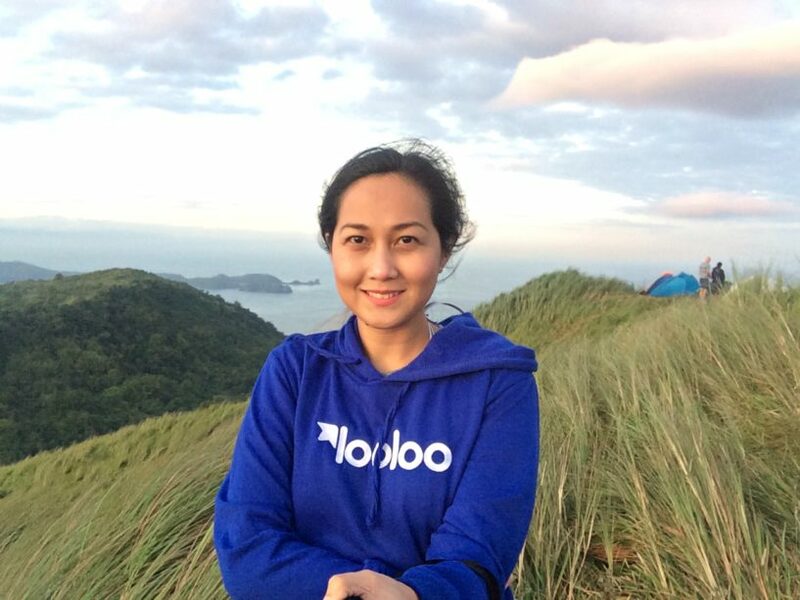 And then she also suggested me to have my jump off point at Philpan dive resort… I am really eager to have my first climb this year and I am choosing either Gulugod Baboy or Pico De Loro.. someone suggested Mt Batulao too! Thanks for sharing your experience! By the way, is it always crowded here? Nope, it is not crowded, at least when we climbed (that was a Saturday), there were no other hikers but us. The next morning there were other hikers on the peak already but still, the number is not that many considering the fact this is ranked as a 1/9 mountain. I’m from Bauan, Batangas and its just a 20 minutes drive from my place to Philpan. 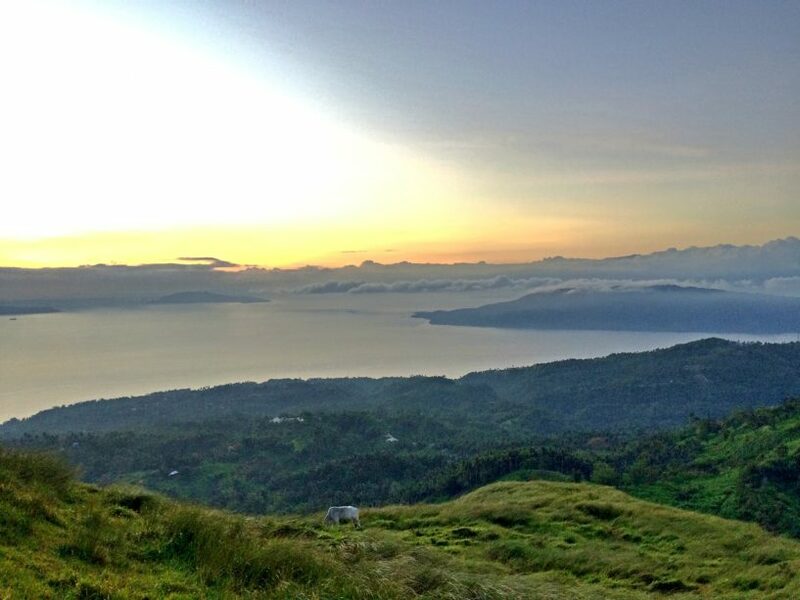 From your bus ride i think that’s Bolbok Diversion road or commonly known as Batangas Diversion, and from there its a jeep ride that is most convenient for groups, not to mention the over traffic situation before you reach our municipality, Bauan! I call this the traffic capital of Batangas. Have u experienced that? Anyway, i love your adventure at Gulugud Baboy.. i’ve been planning a climb there with my cousins and i hope it’ll push through this summer. Quite ironic, but yes i haven’t been to places here near my home..hahaha and im glad that tourists are eyeing this part of our province! 🙂 Thanks for sharing! Is that how it’s called? Batangas Diversion? Thanks for the info. Actually, I just read about it in a blog so I thought it’s called Bauan Diversion. Thanks for clarifying that up. Oh yes, we experienced the heavy traffic. Hi Marge, that was an awesome adventure, indeed. Is it always windy on Mt. Gulugud Baboy? What’s the best time to go there? Hi Jem, yes, it is always windy on this mountain. Best time to go here is during summer, from March to April. 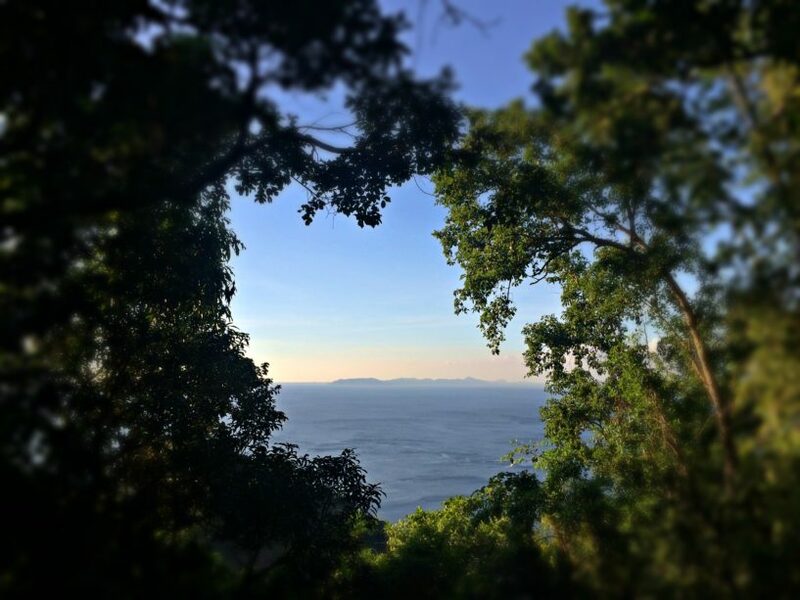 What a fantastic camp – I couldn’t have picked a better and more scenic spot. You can’t really do anything like that here in Canada, unless you get permission from the ministry of national resources to just set up on Crown land. Hi Milosz! It is a fantastic camping spot indeed, just a little challenging because of the wind situation. I didn’t know you have to get permission to camp in Canada. Is it hard to secure a permit? Did you by any chance have a way to measure wind speeds? Did it pick up in the evening hours? Hi Milosz. Nope, we had no such gadget to measure the wind speed. The article was well worth the wait amiga, very very informative! 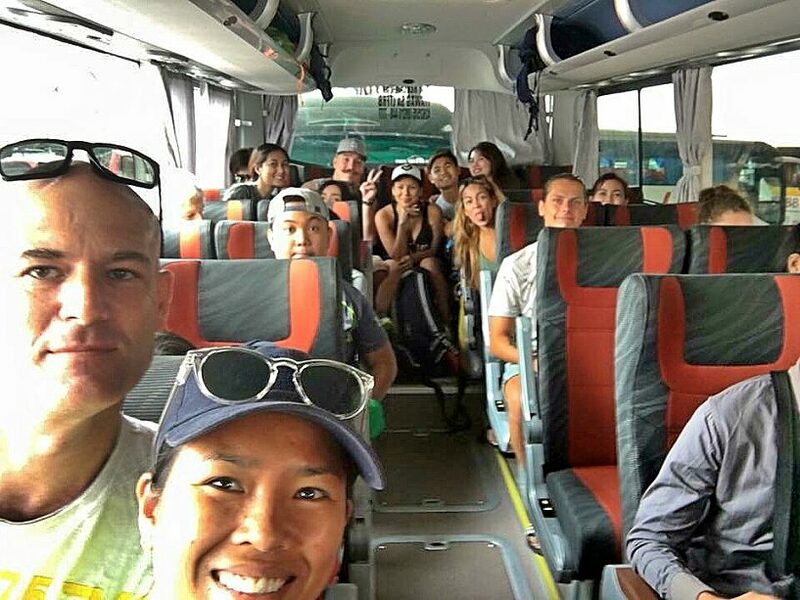 It was a complete pleasure going on this trip with you and everyone else, we will not forget this little adventure any time soon =) Would you mind if I download this article, to keep as a memory?